911uk.com - Porsche Forum : View topic - Titanium Exhaust Studs Again - Who wants some? 911uk.com Forum Index > Porsche Car Parts For Sale & Wants > Titanium Exhaust Studs Again - Who wants some? 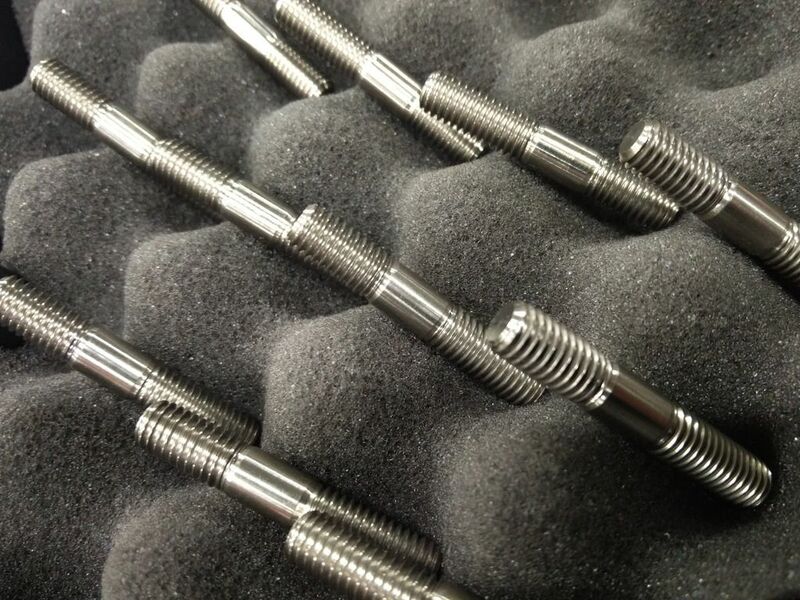 Posted: Fri Mar 11, 2016 9:40 pm Post subject: Titanium Exhaust Studs Again - Who wants some? People have requested two different lengths/designs and also washers. We only have a C4 at work so beyond that I'm working on what I've been told by those wanting a set so please feel free to correct stud numbers etc. if required. They will all be made from Ti6Al4V which is stronger than pure Ti but retains the same stiffness. It will never, ever rust, rot, corrode or do anything other than remain a stud. All 996 and 997 as far as I can tell use an M8 X 28mm bolt but with different heads depending on application. All manifolds appear to be 10mm thick flanges with a 2-3mm gasket depth which makes 15-16mm installation depth at clamping into the cylinder head. Hence the design of these studs with a 15mm thread on one end which once installed and butted up to the shank is 15.5mm installed depth. I recommend you use an M8 Aerospace K-Nut with them which is a 10mm headed fastener so can be installed easier than a 13mm bolt can when dealing with larger primaries etc. on aftermarket manifolds as you're using a 10mm socket not 13mm. They are also self locking and keep planes in the air so pretty well proven. Depending on the design of your manifolds you may well want to use washers under them if they have oversized holes in the manifold flange. M8 X 45mm. 15mm Thread on one end, 10mm shank and 20mm thread on the other end. I have used these as exhaust manifold studs on my 996 and they provide 10mm additional thread beyond a standard aerospace M8 K-Nut without washer. These will fit C2/C4, Turbo and GT3 as far as we can make out as they are all on the same fastener accordingly to the Porsche parts book. The extra length makes installation of the nut much easier and doesn't hamper installation, on C2/C4 you can wind the rear most stud in once the manifold is bolted up via the others to avoid having to undo the coolant hard lines to make room. These studs weigh a smidge over 8 grams each. M8 X 40mm. 15mm thread one end, 5mm shank and 20mm thread on the other end. Essentially identical to the above but with a 5mm shank. This was a size requested so it's here. Will provide 5mm thread protrusion if using a standard M8 K-nut without washer. These studs weigh a smidge under 8 grams each. M8 Ti washer. Erm.... it's an M8 washer, made out of Ti. Not a lot else to say about that one. For 996 C2 and C4 you'll need 12 studs (6 per side) and probably 12 washers but check what your clerances are like between the end holes and the primary as on some aftermarket manifolds this is very close. If it is you can use a washer if desired on the centre studs. For 996 GT3 you'll need 12 studs (6 per side) and probably don't need washers as these manifolds appear to have a more sensibly sized hole..... but check! For 996 Turbo you'll need 18 studs (9 per side) and probably 18 washers but same caveat as above C2/C4 with regards end primaries and mounting hole spacing. It seems you can also use the same studs to bolt up the Turbo to Manifold joint. Making just a few of these studs is quite expensive but doing a lot brings the price down quite considerably. If in total I can make more than 100 studs of either size then they are £5 per stud, if it's less than 100 but more than 50 it's £6 per stud. Likewise for washers, more than 100 and they're £2.50 each, less than 100 but more than 50 and they're £3 each. M8 X 1.25 6 Point K Nuts cost us £1 each so happy to provide those at cost if required or you can source from Tweeks, Merlin etc. Also if anyone with a C2/C4 wants a set to replace their rusted standard ones and is worried about them breaking on removal then I'll lend you my Stomski Racing bolt repair kit as long as you promise to send it me back! Note in this pic the clerance to the primary, you won't get a washer on if yours are like this.... but with a K-Nut you don't really need a washer unless the manifold mounting holes are oversized. Any one who is interest post below with what you want and if it's enough people then I'll order some bar stock next week. Great write up Matt, This will save thousands in labour down the road with these studs. Sign me up for a full set please, the 45mm ones please, with washers and the k-nuts , great that you are making these! I'll have a set please for a 996 turbo. Any chance of a few extra for the turbo to manifold join? I'd like to order the bar stock on Tuesday so these can be machined and shipped out PDQ as past the end of next week we're into Hockenheim prep and as such are going to be really busy. With regards payment Paypal is probably the easiest? Once I know how many we are making and they've been made (just in case I come up short or similar) I'll message everyone for their address and include my paypal if that's good with everyone here? Posted: Sat Mar 12, 2016 9:14 pm Post subject: Re: Titanium Exhaust Studs Again - Who wants some? Hi, great post. FYI, the 996 GT3 requires 18 (9 per side). I like the idea, have a question though, I had this response from bolt manufacturer previously. Also when Titanium gets hot it can become brital so Stainless steel may be the best option. 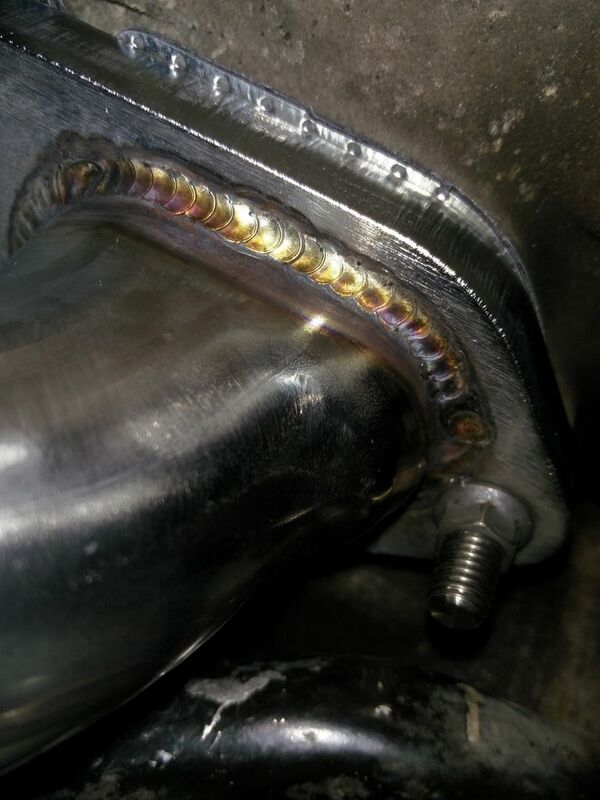 Posted: Sat Mar 12, 2016 9:41 pm Post subject: Re: Titanium Exhaust Studs Again - Who wants some? I suspect your bolt guy does not work in F1......? Posted: Sat Mar 12, 2016 10:03 pm Post subject: Re: Titanium Exhaust Studs Again - Who wants some? They sell Ti bolts which is why I asked them. I wouldn't expect a F1 application to be heat cycled over many years though? Surely components are replaced after every race so this is a non-issue for them. 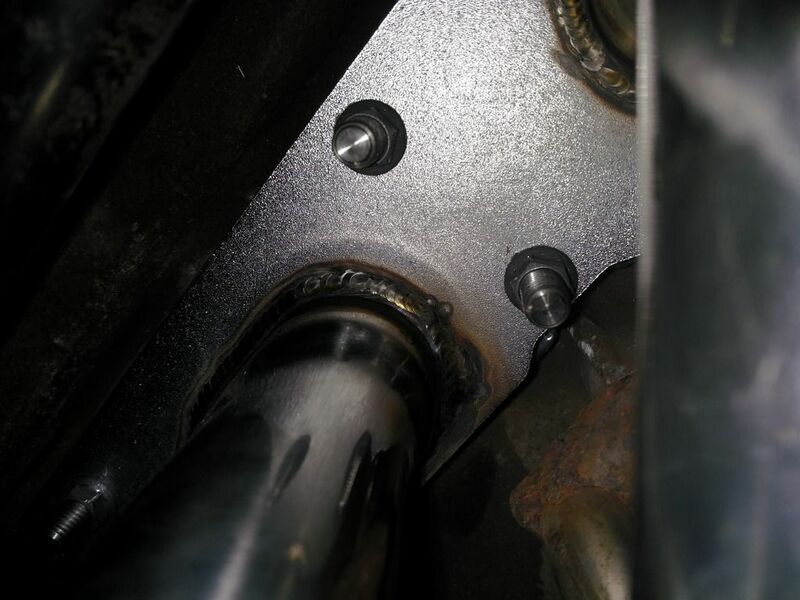 Posted: Sat Mar 12, 2016 10:11 pm Post subject: Re: Titanium Exhaust Studs Again - Who wants some? Wasn't trying to be funny Stuart - there is a difference in heat cycles as opposed to absolute operating temperature. Ti does not suffer in either situation AFAIK. Posted: Sat Mar 12, 2016 11:43 pm Post subject: Re: Titanium Exhaust Studs Again - Who wants some? Good to know re GT3! I'll update the above - the picture of a 996 GT3 exhaust manifold gasket I found must have been a C2/C4 one! With regards operating temps etc. it depends on the grade of Ti but more importantly it depends on how you are using the Ti part. You are quite right that stainless has a higher consistent operating temperature than Ti. This is why a lot of high temp pipe etc. is stainless. Ti6Al4V is generally used for applications upto 400deg C operating temperature at which it remains stable in it's alpha phase, temperatures above 800degC will result in it transforming to its beta phase where it will become more ductile and remain stable in this form until melting point (about 1600deg C). One very important point.... the studs screw into the cylinder heads which are essentially large water cooled aluminium heat sinks as far as the studs are concerned. In short their operating temp will never get anywhere near 400 deg C.
One point to consider regarding Stainless steel is its name, it's Stain-Less not Stain-Never. Stainless can corrode, for example look at an old stainless steel exhaust which has seen repeated heat cycles along with road salt and other debris. Generally it will have some surface corrosion in places - on an exhaust this doesn't matter but on a stud carring a nut it can be enough to cause a problem after a decade or so of use and heat cycles. Ti6Al4V does not become brittle in the way you describe but other grades of Ti can especially alpha phase and CP Ti. Ti6Al4V is an alpha-beta phase Ti alloy so whilst it will work harden it will not become brittle from use in the temperatures it will see as an exhaust manifold fastener. Posted: Sat Mar 12, 2016 11:45 pm Post subject: Re: Titanium Exhaust Studs Again - Who wants some? I wouldn't expect a F1 application to be heat cycled over many years though? Surely components are replaced after every race so this is a non-issue for them. Posted: Sun Mar 13, 2016 7:30 am Post subject: Re: Titanium Exhaust Studs Again - Who wants some? Sold! Put me down for 18 studs and nuts please. Oh and I got caught out by the parts gasket also. The C2/C4 and GT are not the same shape, the PET shows it as the same in the diagram but they are definitely different. With the above that's 108 by my math so I'll order the barstock first thing in the morning. Should be able to ship these out later this week. MikeWhite - 12 Studs w/ washers and K-nuts. Okay so bar stock is here. I'll update you all tomorrow on how we're getting on. First ones will go out tomorrow all being well and I'll do them in the order that people requested them as that seems fairest? Obviously if anyone is mega stuck and desperate for them post and if no one minds a bit of priority rearrangement then you can have yours before them. Can you text me when you want payment ?